ArcherDX said today it has acquired Baby Genes for an undisclosed price, in a deal that further expands the buyer beyond development of platform technology, into the development of assays designed to enable precision medicine. Based in Golden, CO, privately-held Baby Genes focused on facilitating precision medicine by supplying genetic insights to patients through its tests. Through its acquisition, ArcherDX will gain Baby Gene’s CLIA-certified, CAP accredited genetics laboratory in Golden, with a test menu that includes a supplemental newborn screening panel designed to interrogate over 100 genes covering more than 72 clinically-actionable, inherited conditions as well as pre-defined carrier screening tests that include full-gene sequencing for cystic fibrosis, spinal muscular atrophy, and Fragile X syndrome. The lab also offers customized confirmatory and reflex genetic testing services to physicians. “The addition of a CLIA/CAP accredited lab enables our mission, not through centralizing testing, rather to allow us to extend our capabilities in the genetic testing market, improve our ability to understand and anticipate our customers' needs – especially those customers looking to implement NGS for the first time or expand NGS capabilities, and to enhance our biopharma partner co-development capabilities,” Jason Myers, co-founder and CEO of ArcherDX, said in a statement. “We have a long, positive working relationship with Baby Genes, and from day one we saw natural alignment between the two organizations regarding our shared commitment to accelerating the adoption and application of personalized health,” Myers added. ArcherDX’s Archer platform aims to enhance genetic mutation identification and discovery by combining powerful bioinformatics software with patented Anchored Multiplex PCR (AMP) chemistry in a lyophilized format designed for easy use. In addition to oncology-focused research products, ArcherDX is developing multiple companion diagnostic assays. On January 8, ArcherDX said it received the FDA’s Breakthrough Device designation for a companion diagnostic assay for both liquid biopsy and tissue specimens. The companion diagnostic assay is a sequencing-based test analyzing more than 50 genes intended for detection of somatic alterations in circulating tumor DNA (ctDNA) present in plasma and in RNA or DNA derived from formalin fixed paraffin embedded (FFPE) cancer tissue. According to ArcherDx, results of the ArcherDX companion diagnostic assay will be used to identify patients diagnosed with advanced non-small cell lung cancer for whom treatment with a specific targeted therapy is being considered. If approved, this test could be the first FDA-approved multi-gene sequencing-based in-vitro diagnostic to accept both plasma and FFPE-based inputs. In October, ArcherDx launched a partnership of undisclosed value with Merck KGaA to develop and commercialize a next generation sequencing (NGS)-based companion diagnostic assay for an undisclosed solid tumor cancer treatment. ArcherDX agreed to develop and seek regulatory approval for a CDx assay designed to help physicians identify patients who may benefit from treatment with an unspecified Merck KGaA drug candidate. And in March 2018, ArcherDX completed a $35 million Series A preferred financing whose proceeds, the company said, were to be used in part for scaling its oncology-focused companion diagnostics co-development program. 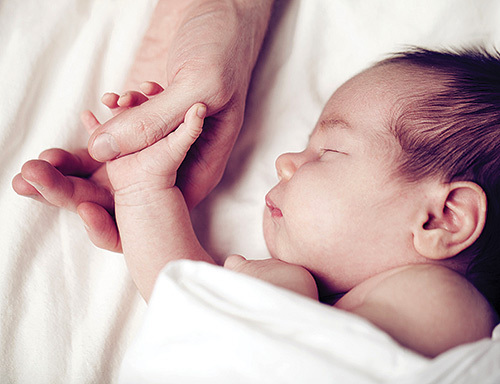 Baby Genes will continue to operate as a wholly-owned subsidiary under the name ArcherDX Clinical Services—and will continue to market the suite of existing newborn and carrier screening genetic testing services under the Baby Genes brand name, ArcherDX said. ArcherDX Clinical Services will use ArcherDX’s existing R&D functions some 50 miles north of Golden in Boulder, CO, while all commercial profiling services for both companies will be consolidated in the Golden laboratory. Richard Sjogren, previously the co-founder and CEO at Baby Genes, will join ArcherDX's senior management team as vice president of operations. “We see tremendous growth opportunities ahead as we continue to partner with innovative scientists, health care professionals and proactive individuals to make a difference in extending and improving the quality of life,” Sjogren stated.